Set of four table napkins that are washable and reusable. 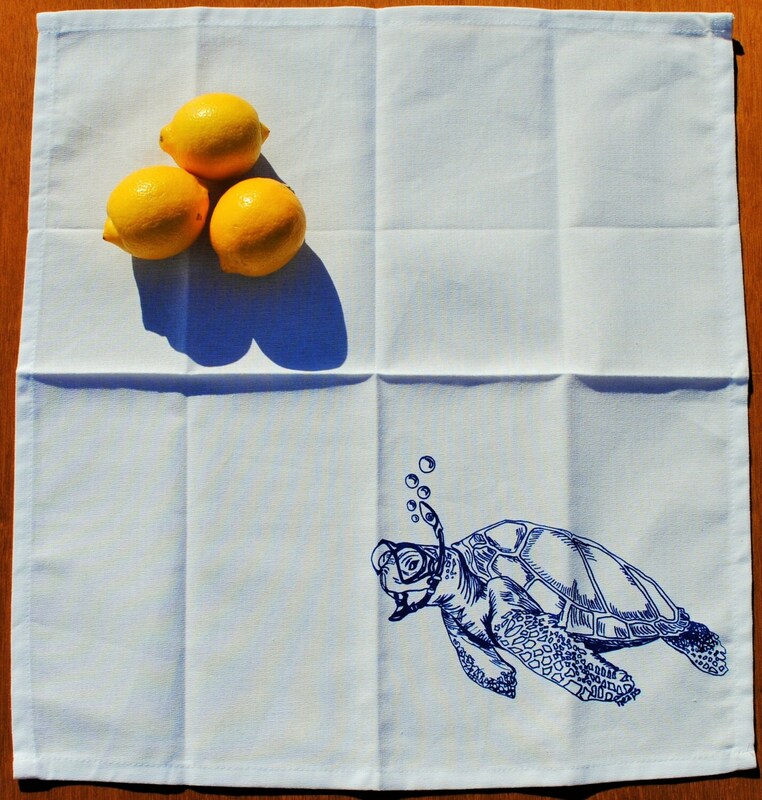 These are bright white cotton napkins featuring images of a blue sea turtle. I personally hand draw all of my designs and hand pull all of my screen print images. 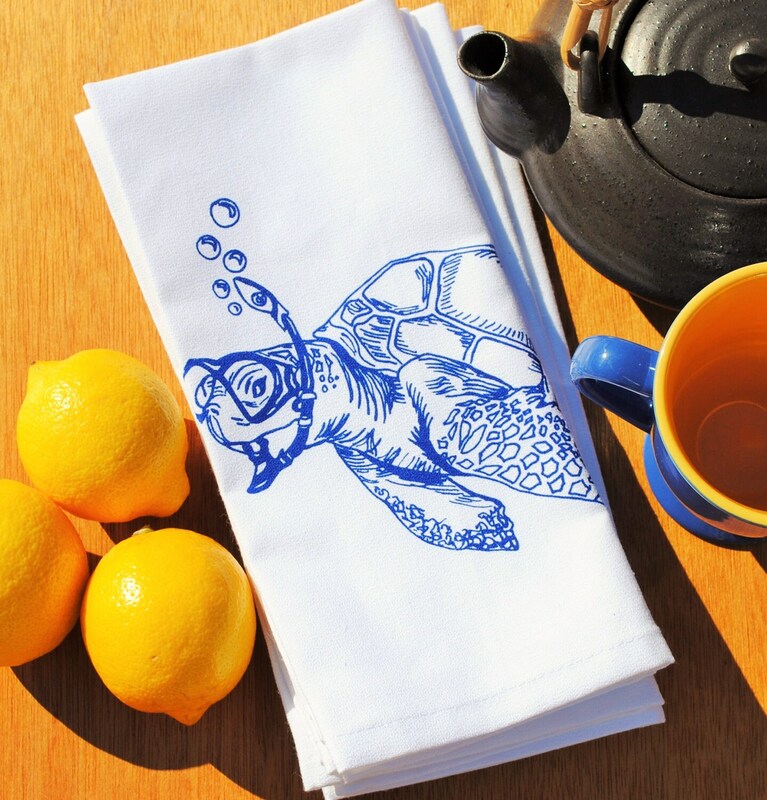 The printed napkins set is eco-friendly napkins premium quality 100% cotton. They are nice and thick and will stand up to everyday wear. I use high quality water based inks that are earth friendly and long-lasting. These eco friendly cloth napkins will make a lovely hostess gift, house warming gift, dinner party, table setting Christmas gift or wedding gift. 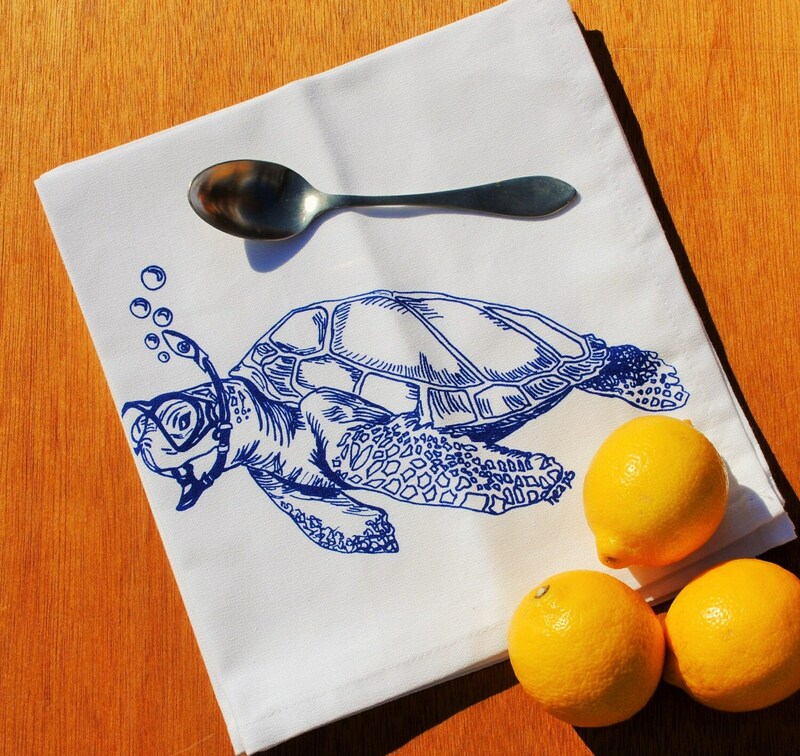 This cloth dinner napkin set will also make a charming addition to your own kitchen. They make great gifts! Quality fabric & nicely made. Responsive shop and received the items quickly.